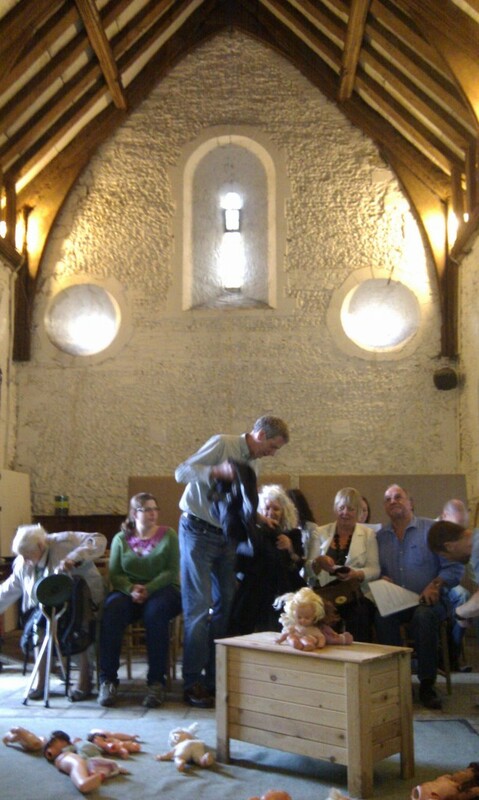 Some historic church buildings are just plain awkward, but are also outstanding examples of historic buildings. 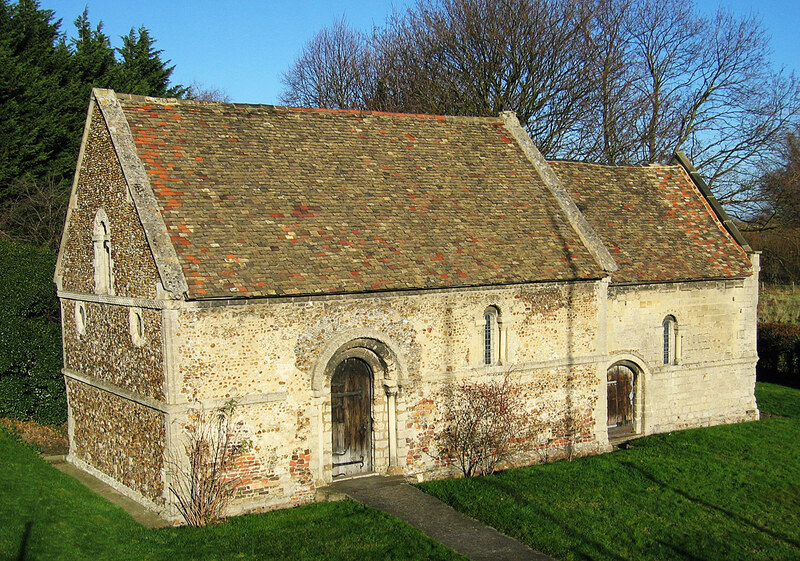 Take the Leper Chapel in Cambridge, for example. This beautiful little building is undoubtedly a jewel. Built circa 1125, it is the oldest complete building in Cambridge. It was built for the nearby leper hospital (of course then outside of the town), but since the last of the lepers had been admitted by 1279 (and the colony moved shortly thereafter) the building has had other uses for most of its life. The site is bounded by the busy Newmarket Road, and is a stone’s throw from the railway; this relatively recent infrastructure has in a sense strangled the building, cutting it off from its setting, leaving the building itself as a remnant of an earlier age, a historic curio. Never having had a parish, without the hospital it was always on its own. In 1199 King John gave the chapel the right to hold a three day fair in order to raise money to support the lepers. Starting in 1211, the fair took place around the Feast of the Holy Cross (14 September) on nearby Stourbridge Common. This grew into the largest medieval fair in Europe, and was hugely profitable for whoever held the post of priest to the chapel. Then in 1546, the chapel was closed and ownership passed to the Crown. After this the building was used as a store and, in the eighteenth century at least, as a pub during the Fair. After 1751, there were no further religious services held at the chapel. In 1783 it was advertised for sale as a storage shed, and in 1816 the Chapel was bought and restored by Thomas Kerrich. Kerrich gave the Chapel to the University of Cambridge, who in turn gave it the Cambridge Preservation Society in 1951. So what role can a building like this find now? In terms of modern functionality, this jewel is useless. With ground levels around the church having been raised access is down a long flight of steps, so there is no disabled access. There is no sanitation, no running water, no heating. In terms of modern use, this building is a basket case. Yet utility should not be confused with value. Today the Chapel is owned and cared for by Cambridge Past Present & Future, and is still used for worship, with Holy Communion on the first Sunday of each month at 9am. The building now derives it identity from its historic roots, aiming to host ‘activities that illustrate the Chapel’s links with leprosy and with the vulnerable and marginalised in society’. The building is therefore making a virtue of its location on the edge, and has what is a potentially powerful voice in representing the outsider. The building is also used for theatre, and I had the pleasure of seeing a performance of Macbeth by Insitu theatre earlier this month. The adaptation (for a cast of just two – Richard Spaul and Bella Stewart) made excellent use of what is an intimate and evocative space. The key of course is to get people into contact with the building, which arts events such as this achieve. In time it is hoped to bring in sufficient funds to create disabled access. You can find more on the leper chapel from Cambridge Past, Present and Future, who own and manage the building – lots here on planned events, access to the building, and how to book it for an event of your own. 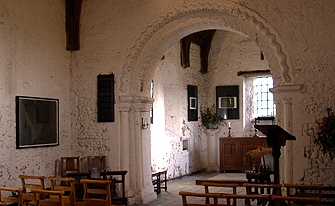 The Friends of the Leper Chapel, formed in 1999 to promote use of this chapel for education, cultural events and worship, are also worth a visit.